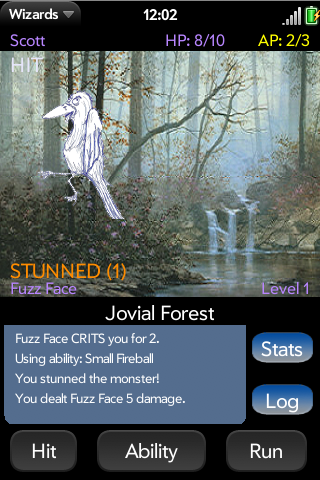 Wizards - Create your hero (Warrior, Rogue or Wizard) and journey beyond the reaches of the town to the forest or the dangerous river to fight and claim your fortune! You're able to level to 3 in this version, and it includes abilities for all three classes. Fight your class master after gaining enough experience to gain a level! Earn new weapons to fight your foes in new ways! You can now do QUESTS for people in the town! A few notes on the beta- YOU MUST DELETE PREVIOUS BUILDS IN ORDER FOR THIS TO WORK. Future builds will have story elements, working inventory, new zones and towns. Artwork is in progress.